While our Gemstone and Kairos Luxury Safes are much loved favorites, of both our customers and ourselves, we continue to offer a full array of all types and sizes of safes and vaults for both residential and commercial customers. Visit our Maximum Security Safes. 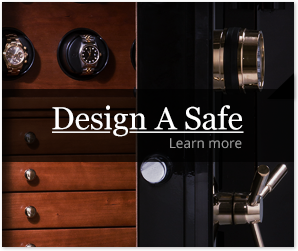 Call us today and we will bring the expertise that has made us the leader in luxury home safes to your home, 800.538.0600.